As of Monday afternoon, the FBI released a full transcript of the calls. The previous FBI transcript had removed references to the ISIS terrorist group and its leader, Abu Bakr al-Baghdadi. “I’m in Orlando and I did the shootings.” That was one of several statements mass shooter Omar Mateen made to police during his attack that left 49 people dead at Orlando’s Pulse nightclub on June 12. According to the FBI, he spoke to 911 dispatchers three times during the terrorist attack. The FBI on Monday released the partial transcript of the phone call Mateen, 29, made to police during the shooting, showing that he pledged allegiance to the ISIS terrorist group and other terrorist actors. God [in Arabic]. I let you know, I’m in Orlando and I did the shootings. Thereafter, Mateen engaged in several conversations with the Orlando Police Department’s hostage negotiation team, the FBI said. “In the next few days, you’re going to see more of this type of action going on,” he added. 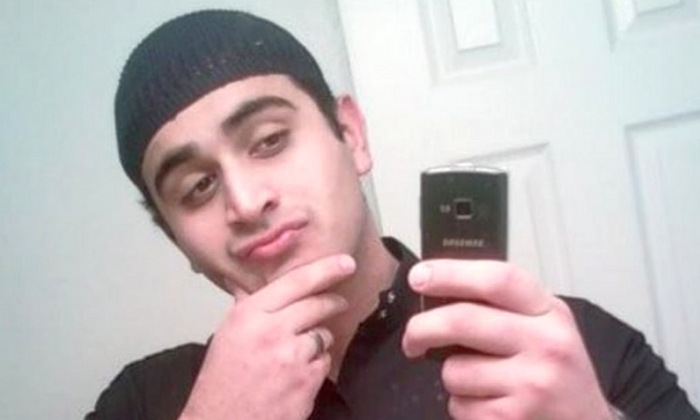 Mateen then hung up and multiple attempts by officials to get in touch with him were unsuccessful. Two hours later, at around 4:30 a.m., Mateen said he was going to place four bomb vests on victims, but his claims were false. At 5 a.m., the Orlando Police SWAT team blew up a wall at the Pulse nightclub and entered with an armored vehicle. About 13 minutes later, Mateen was shot, the transcript shows. Ron Hopper of the FBI, in a Monday news conference, said that Mateen was not directed by a foreign terrorist group, but he was “radicalized domestically.” Around 600 pieces of evidence have been collected and processed by the agency. Despite Mateen’s claims of having an explosive device, authorities found none, Hopper said. ORLANDO – In order to provide an update on the progress of the investigation into the Pulse nightclub shooting, the FBI is releasing an excerpt from the timeline of events inside the Pulse nightclub during the early morning hours of Sunday, June 12, 2016. Out of respect for the victims of this horrific tragedy, law enforcement will not be releasing audio of the shooter’s 911 calls at this time, nor will law enforcement be releasing audio or transcripts of the calls made by victims at the Pulse nightclub during the incident. Furthermore, the name of the shooter and that of the person/group to whom he pledged allegiance are omitted. 2:04a.m. : Additional OPD officers arrived on scene. The FBI urges the public to provide information about the shooter and any contact they may have had with him. Since the release of the FBI’s Seeking Information poster, the FBI has received thousands of tips. The FBI will investigate every tip. To provide a tip, please call1-800- CALL-FBI or visit tips.fbi.gov.